Weights, dumbbells or barbells, are in the gym for lifting and exercising. They can also perform another role if you allow them to – a role of a Motivator. Every one who has entered a gym for the first time is stunned by the looks of a dumbbell of 30kg; they are enormous. And every time you look at it, a question in your mind will swing by “When I will be able to exercise with it”. You fell like you won’t be able to reach that level and exonerate the possibility of it. Wrong, you can get to lift that 30kg of dumbbell in a set. All you have to do is not be afraid of them. Make the dumbbells work for you. On every set and repetition, say to yourself that in couple of practices, the final set of lifting will be your second set. When you create a heavier third set, again, say to your self that in couple of weeks (or at the end of the month) that set will be second; and so on. Within time, it will be the 30kg dumbbell requiring your attention. The muscle groups who will welcome the 30kg dumbbell will be Back and Triceps. 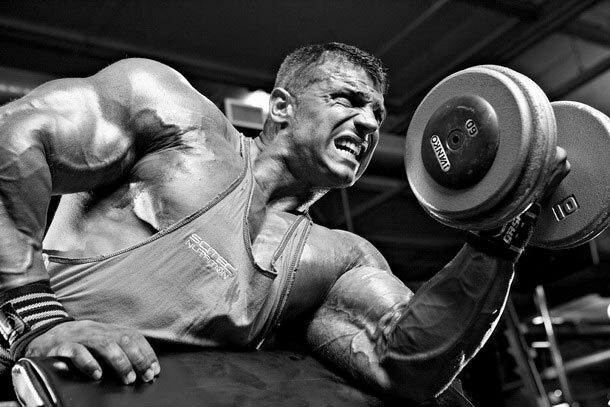 Some bodybuilders talk to the heavier dumbbells saying it will be their turn soon. Sounds odd but it works. Ronnie Coleman talks to the heavy dumbbells every time before he starts lifting them, saying: Lightweight baby!!! 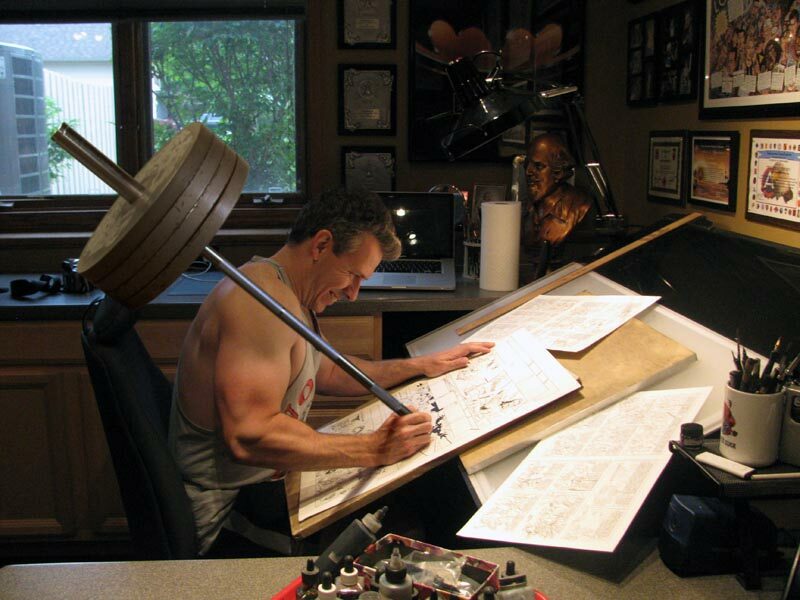 Don’t be intimidated by the number on the dumbbell and its heaviness. The body will meet his match when the time comes. Dumbbell by dumbbell, you’ll ask the employee in the gym to buy heavier dumbbells for your workout.